Details matter. 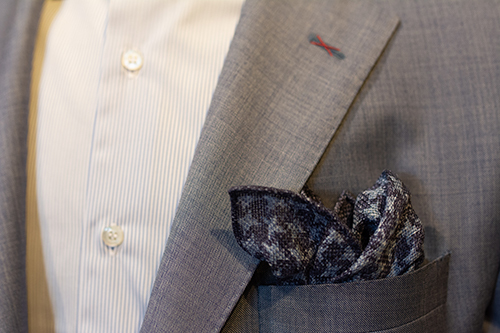 If you’re not wearing a tie, wear a pocket square. Part of creating a timeless style is choosing pieces that will endure the changing whims and wandering, fleeting trends of the masses. Those are most often solids rather than patterns and darker tones–navy and gray–instead of lighter. 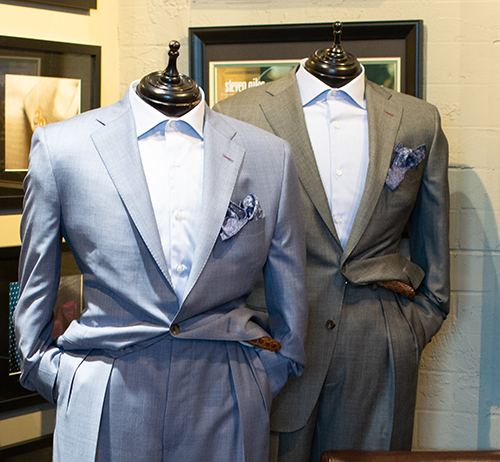 “There are exceptions, of course, but when you’re buying a suit you want to wear for years to come, the exceptions are often those that fall quickly out of fashion,” Steven Giles says. Which is not to say that color has no place? Instead, it is in the details where menswear often finds its life. 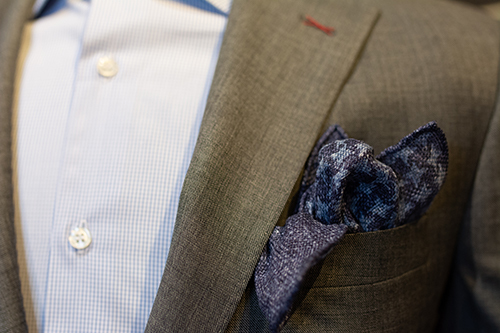 A complimenting tie and pocket square are a nice touch, but even without the tie, a square can be a place for colors and patterns that add contrast to an ensemble while driving the eye to the quality of the clothes surrounding it.